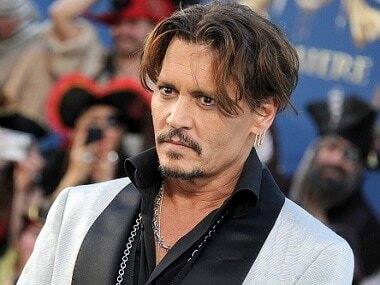 On 13 January, 2017 Johnny Depp, like many stars before him, filed a lawsuit against his own lawyers and business managers The Mandel Company, suing The Management Group (TMG) under the charges of gross mismanagement and on occasion outright fraud, in a jury-seeking suit for over $25 million. Johnny Depp. Image from Getty Images. “As a result of years of gross mismanagement and sometimes outright fraud, Mr. Depp lost tens of millions of dollars and has been forced to dispose of significant assets to pay for TMG’s self-dealing and gross misconduct. In essence, TMG treated Mr. Depp’s income as their own, available to either TMG or third parties to draw upon as desired,” read the 52-page complaint filed in the Los Angeles Superior Court by the actor and fellow Plaintiff Edward L. White as trustees of the Mooh Investment Trust, as reported by Deadline. The lawsuit alleged 11 complaints in total, that ranged from fraud to professional negligence, to a breach of contract. It also claimed that without a written agreement — TMG paid itself a contingent fee of over $28 million; failed to file for or pay Depp's taxes on time which resulted in penalties and additional fees of over $5.6 million on his federal returns and "loaned" around $10 million to third parties with any proper documentation or verified authorization from Depp himself. It was only after Depp had fired TMG and hired a new business and account managing service that these findings allegedly came to his knowledge, stated the complaint as reported by the same Deadline report. Additional to the $25 million sought via compensatory damages by Depp, the suit also asked for a temporary restraining order and a permanent injunction that would stop the defendants from going forth with the foreclosure on Depp's home due to his shaky financial condition. The Mandel Company then went on to file a countersuit on 31 January against Depp wherein they claimed that Depp and his inner circle had been fully aware of the financial troubles that were being faced by the star. 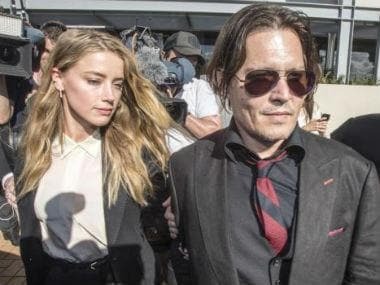 On 19 June, the lawsuit took a monumental and ugly turn as the management team made key correspondences between themselves and Depp's sister Christi Dembrowski — who was touted to be the actors 'primary representative, personal manager and gate-keeper — his lawyers at Bloom Hergott, and his UTA agent, public. This was a blatant attempt by the management team to squash the attempts of Depp's lawyers to get rid of the subpoenas that have been filed against the aforementioned agencies, as elucidated by a new Deadline report. The correspondence consisted mainly of email exchanges between Depp's agents, bankers, sister, managers, lawyers and on occasion Depp himself. The correspondence also detailed how Depp's accounts were massively overdrawn by almost $4 million in the latter half of 2009 and how he was very close to borrowing the sum of $1.98 million from the City National Bank in 2015. There was also one such detailed incident in one of the 11 exibits that were submitted by TMG in which the principal Joel Mandel had an email exchange via which he told Depp to 'take it easy on holiday spending' to which Depp had replied that he would try to keep it in check however he had to give his 'kiddies and famille as good a Christmas as possible', states the same Deadline report. On the movie front, Depp's plate is full with Murder on the Orient Express, Fantastic Beasts and Where to Find Them 2, Gnomeo & Juliet: Sherlock Gnomes and The Invisible Man all slated for release over 2017 and 2018.